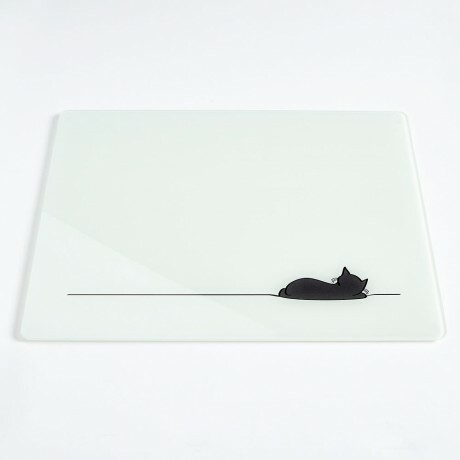 Sleeping Cat Worktop Saver is made from recycled, toughened glass and has 4 non-slip rubber feet. 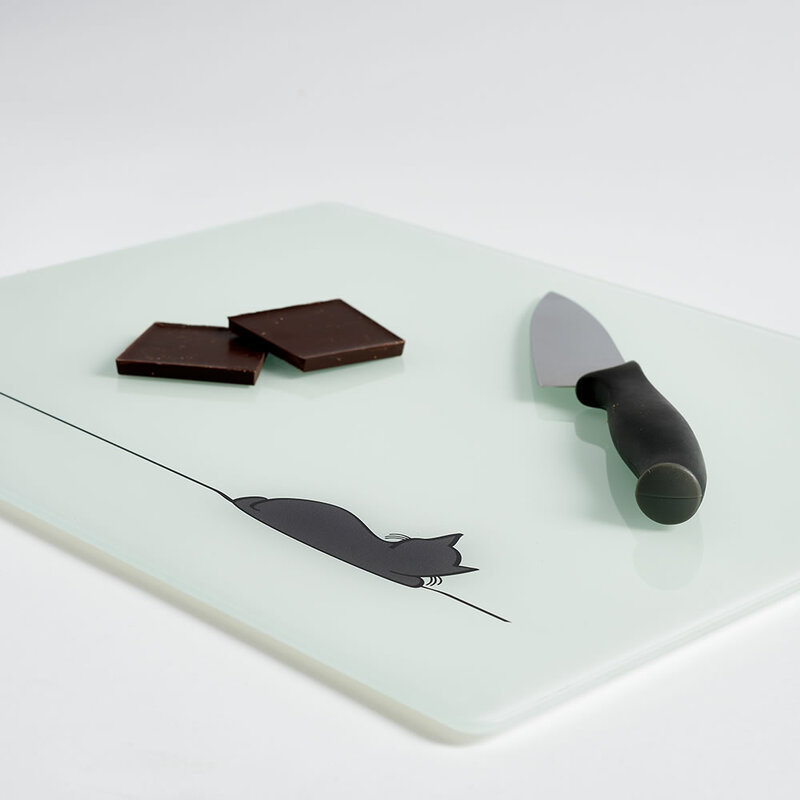 It's an ideal kitchen accessory not only being stylish but functional too - for hot plates, chopping food, presenting food - all kinds of uses. Sleeping Cat is a simple illustration designed for cat lovers and anyone who appreciates clean and simple design. 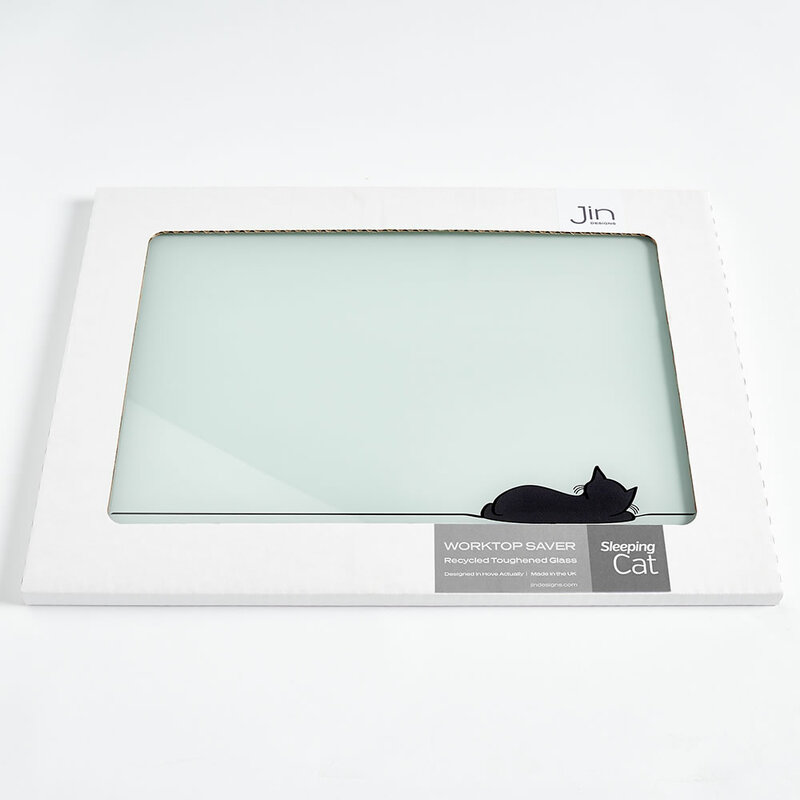 Jin Designs creates clean, stylish and contemporary home and giftware - all products are of the highest quality. Designs are by graphic designer, Jinny Ursell, who works from her studio in Hove on the sunny south coast of England. 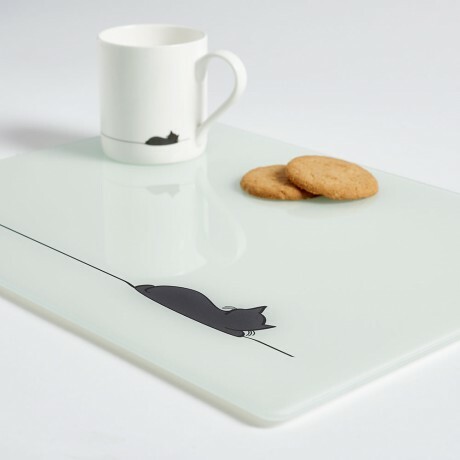 This worktop saver is lovely quality and unique in design. To maintain appearance wipe clean with a damp cloth.